Tenders for a landmark waterside development at Mai Kolachi adjacent to the Port of Karachi in Pakistan have been received and are currently being evaluated following the implementation of Aedas’ international competition-winning design for a mixed-use scheme. Endorsed in 2007 by the Prime Minister of Pakistan, the development will command an iconic presence and provide an instantly recognisable beacon to Pakistan’s principal city of Karachi and the country’s largest sea port. 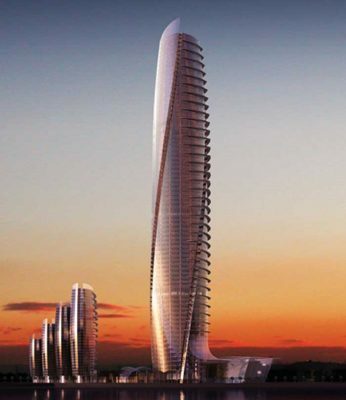 The project is expected to commence on site in the second quarter of 2008. The scheme which includes five high rise towers focuses around the centrepiece; an elegant 78-storey fully glazed tower The tower comprises 162,000sq m. of office space crowned with a 250-bed six-star luxury hotel with additional serviced apartments. The hotel bedrooms are cleverly arranged around an 85m-high atrium to maximise the magnificent views over the Arabian Sea. Advanced digital modelling and sustainable design practices have responded to ecological challenges, drastically reducing the building’s carbon footprint and harnessing the potential of natural resources. 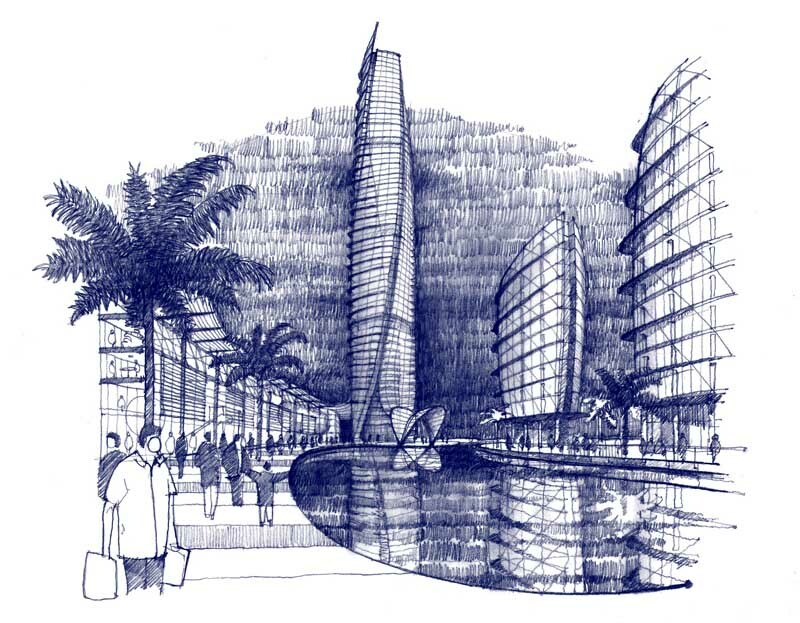 The development is designed to set an exemplary precedent in Pakistan for environmentally responsible architecture and construction standards though the use of low energy design principles and techniques to maximise the use of passive environmental control. Designed for the Karachi Port Trust, the development will help satisfy an international and domestic demand for institutionally acceptable ‘British Council for Offices (BCO)’ standard space. It will also help satisfy a significant shortage of luxury hotel accommodation and aspirational residential property in a city with a population of over 17 million. The development will be the catalyst that creates the heart of a new Central Business District and help realise Karachi’s optimum commercial and lifestyle potential. 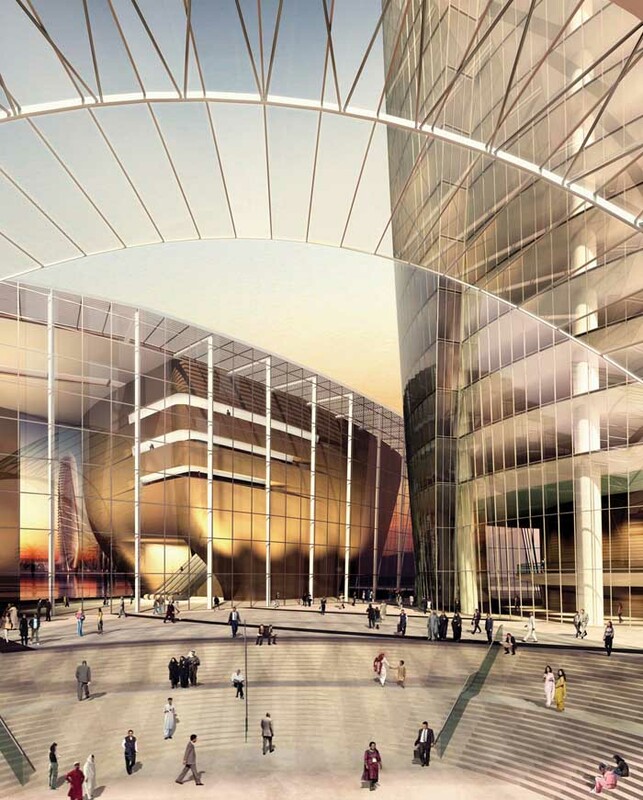 Aedas has worked closely in partnership with the Karachi Port Trust, MM Pakistan and Mott MacDonald UK and Dubai. Project Director, David Kingdom, is available for comment at MIPIM2008. See Notes to Editors for details. Echoing the design of the largest tower, the four adjacent towers of varying height are arranged around a freshwater lake, which extends the quality and reflections of the waterside context back across the site and stretches above the 2000-plus space car park concealed below. Its distinctive serpentine form meets the seafront alongside the restaurant, and the 1,200-seat convention centre and exhibition hall. At the heart of the scheme, a soaring glazed canopy reaches over water-cascaded steps, revealing dramatic views to the rich mix of uses and world class public spaces. 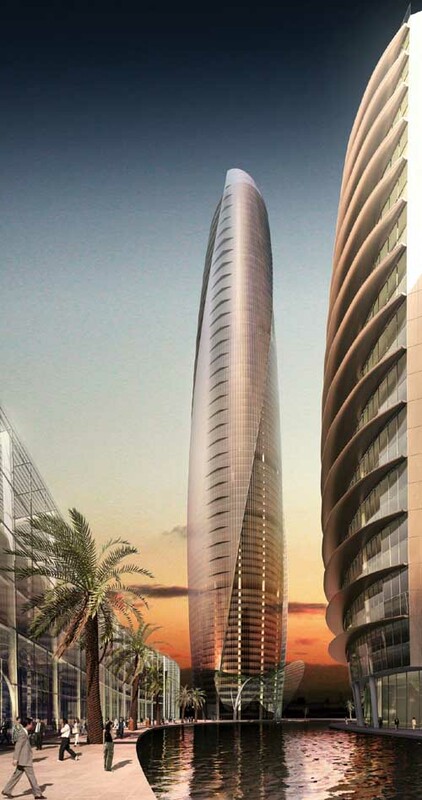 The tallest glass tower at the centre of the development takes its form from stacked and twisted conic strips, which create a shape of repetitive panels. 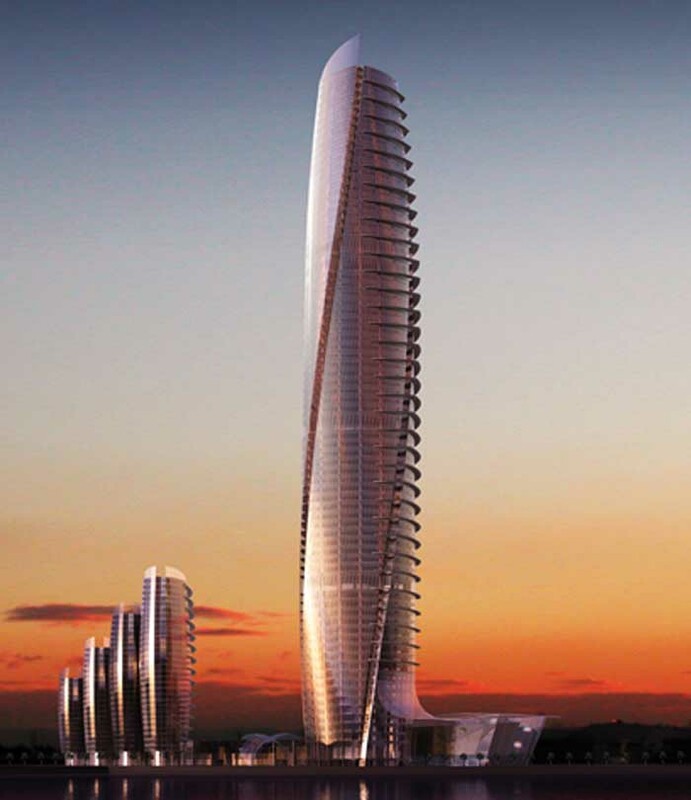 The 105-degree twisting curves divide the form into four petals, and the stacked tower culminates with two off-set petals continuing through the twist above the last floor plate. This defines the crown of the building. Solar shades, modern services, and wind capture technology will contribute to the building’s energy efficiency and long-term sustainability. The asymmetric sun shades or blades and glass fritting respond directly to the local sun path to minimise heat gain whilst maximising glass clarity and views.